With the Custard & Crumble selection of nursery decor, have fun putting the finishing touches to your nursery interiors. 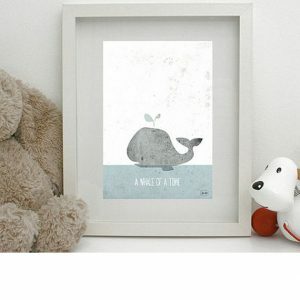 Custard & Crumble have put together a range of fantastic decor as well as ideasto help you complete your dream nursery. 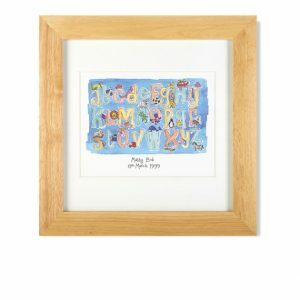 Some options include our fantastic range of nursery artwork, personalised height charts and personalised children’s clocks to the finishing touches such as our beautifully illustrated children’s lampshades, stylish and fun baby beanbags and personalised door plaques. Our range of door plaques, clocks and height charts are all handmade in the UK from birch pine wood, not MDF and make fantastic personalised baby gifts, Christening gifts, birthday gifts for babies or any other special occasion. Our range of children’s lampshades are mostly available in two sizes and many feature the wonderful illustrations of Quentin Blake. 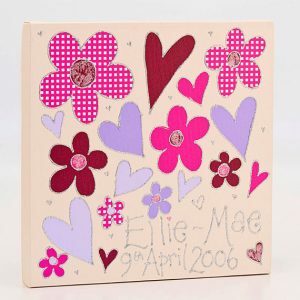 These are sure to be a favourite in any child’s room! New to the Custard & Crumble range of nursery interiors are these beautiful luxury children’s rugs. 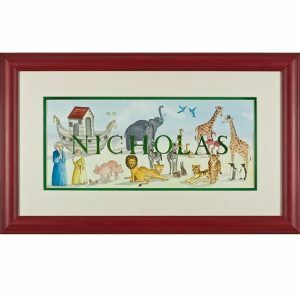 Choose between a themed rug for boys such as a motorcycle or train complete with your little one’s name. Or perhaps choose one of the beautiful felt ball rugs from Olli Ella available in purples or yellows. Custard & Crumble are also proud to be selling a wide range of wall stickers. 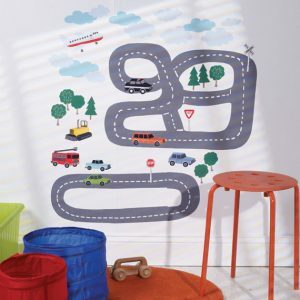 Ideal for nursery interiors, the Wallies range of nursery wall stickers is a collection of beautiful, engaging designs sure to be loved by adults and children alike. 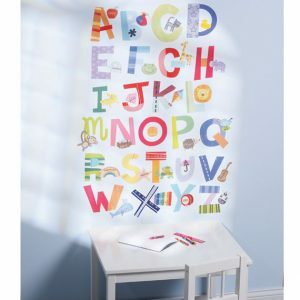 The wall stickers will look great in any nursery, playroom or any other children’s space. 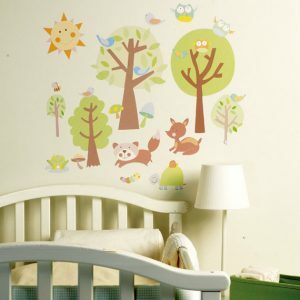 If you want to add a bit more luxury to your nursery interiors and decor, one nursery room idea would be to choose one of the beautiful ranges of Bambizi nursery wall stickers. These stunning wall stickers are designed to look like they have been hand-painted onto the wall. To complete the look choose between one of the three cot mobiles from Bambizi which match beautifully with the wall stickers. Not sure where to start? We also offer nursery interior design services.